Telosys is the best developer companion. It generates all the plumbing and repetitive code. It boosts the project kick-off saving many days of development. 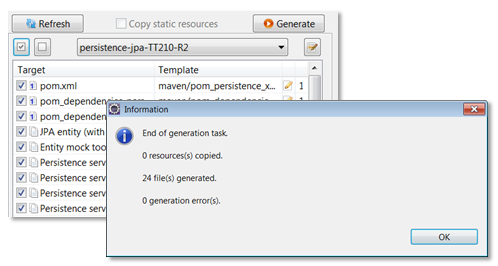 "Telosys studio" is provided as an Eclipse plugin, it allows to set up models, edit templates and generate the code. "Telosys CLI" can be used to launch generation tasks from the command line. Telosys aims to offer code generation for all. It's a pragmatic tool, light and easy to use. No UML model required ! 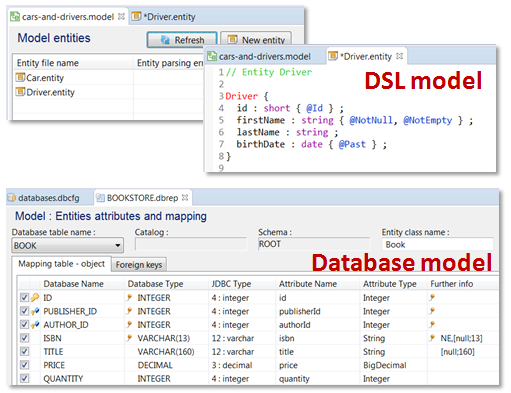 If you have a relational database you have a model, then just use it! If you want to create a model from scratch you just have to create a DSL model and edit the entities in text format. Once the model is ready, use existing templates to generate the code. You can also create specific templates if necessary. 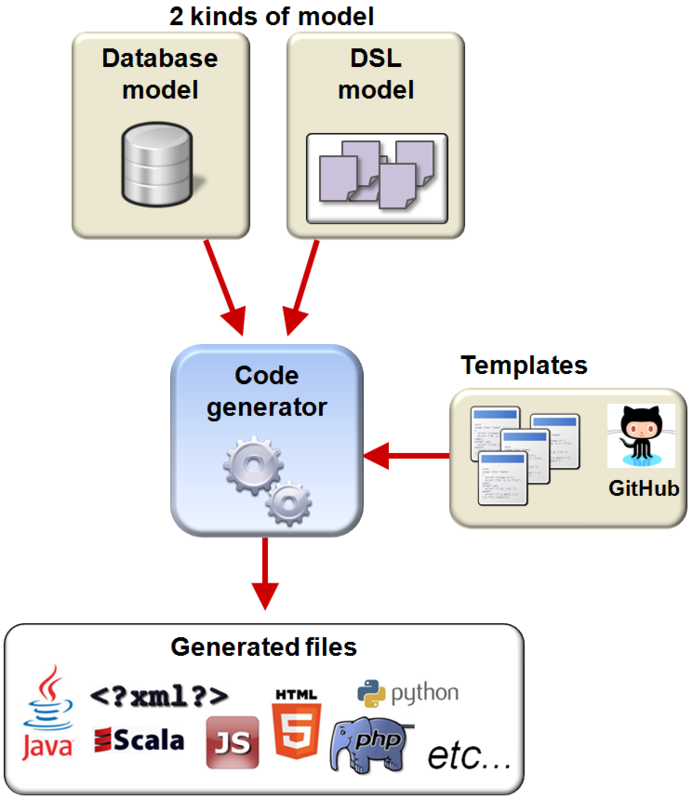 A DSL model can be created from scratch. Each entity is a simple text file. 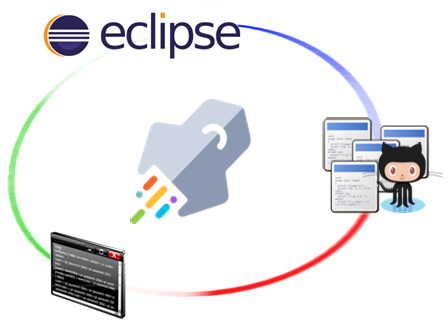 The Eclipse plugin provides a specialized editor to facilitate the model creation. A database model can be generated from an existing relational database. Telosys discovers the database schema by using the database metadata and uses it to build the model. Predefined templates are available on GitHub. Each Git repository is a "bundle" of templates ready to use for commons situations. 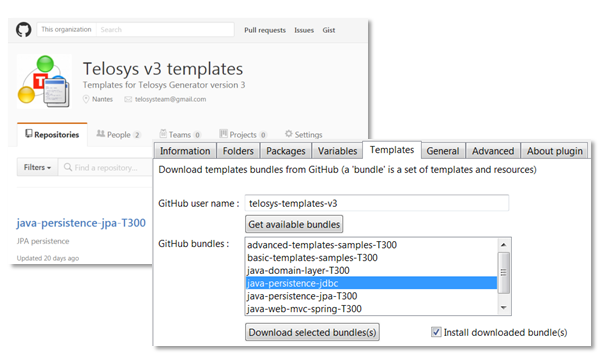 Telosys allows to download and install all these templates. Telosys has been created by developers for developers. With Telosys model driven development is now simple, pragmatic and efficient.